Step 1: Draw any chord PQ of the circle through P as shown. 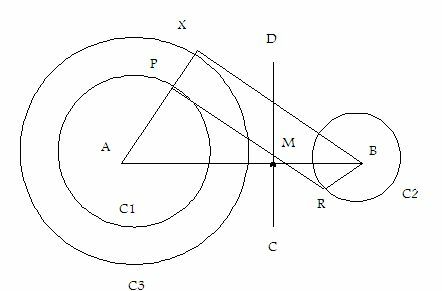 Step 2: Take any point R on the major arc PQ. Join PR and QR. 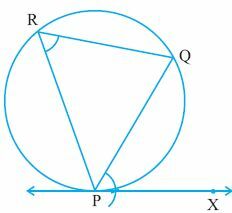 Step 3: COnstruct angle OPX equal to angle PRQ. 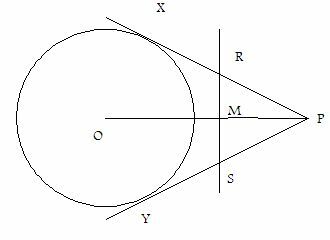 PX is the required tangent at P.
Directions: Construct tangents to the following. 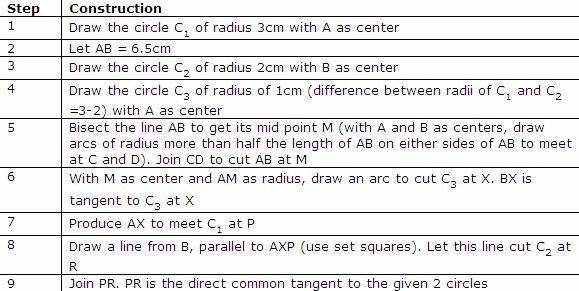 Q 1: Draw direct common tangents to 2 circles of radii 2cm whose centers are 5cm apart. 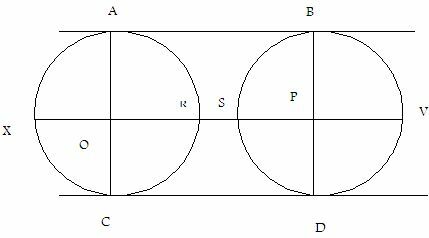 Q 2: Draw direct common tangents to 2 circles of radii 6cm whose centers are 5cm apart. 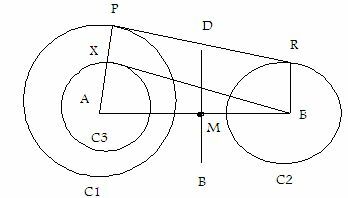 Q 4: Construct direct common tangents to 2 circles of radii 3cm and 2cm whose centers are 6.5cm apart.